"Has the Loch Ness monster turned up on a Georgia beach? 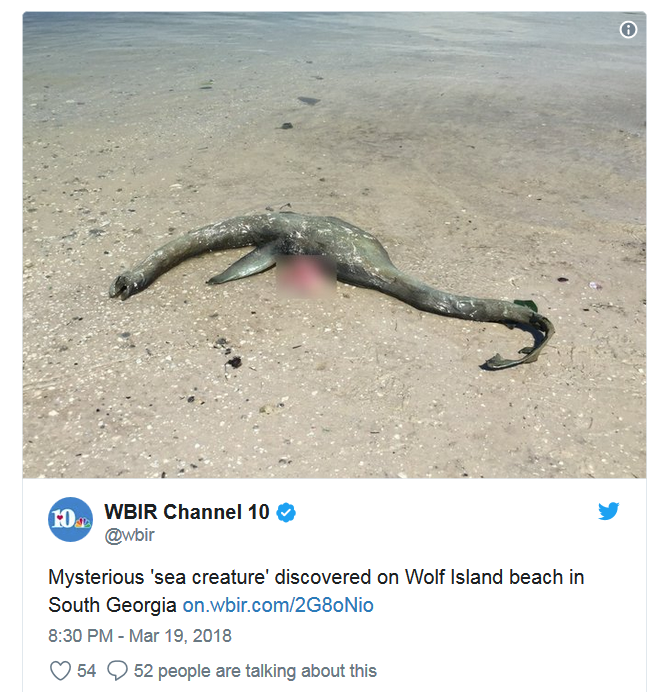 That's what some people are saying after a man found a strange sea creature on the beach of Wolf Island National Wildlife Refuge in Golden Isles, Georgia. The U.S. Fish and Wildlife Service had a different explanation, however. Officials said the creature was likely a sea animal in an advanced stage of decomposition, so much so that it resembled a Plesiosaur, a long-necked marine dinosaur that lived more than 200 million years ago." First thing I thought was it's a model, but you be the judge. I’m sure there are many, many weird creatures out there in the vast oceans just waiting to be discovered. Enlarging the photo, this possibly juvenile animal does not appear to be in an advanced state of decomposition as was suggested. It will be interesting to see if the creature is eventually identified or classified as unknown by the US Fish and Wildlife Service. Where is the autopsy and the rest of the pictures? To me it looks like a swollen piece of seaweed. Interestingly, the pixellated section of the photo is supposed to show 'guts', according to the article, but what interests me is what appears to be a pectoral fin. I would like to see more photos from different angles, but the dearth of these tells me this may be a model, that might be revealed as such with other photos from different aspect. *shrug* Who knows, but interesting anyway in my books. Sad, but I just automatically assume 'hoax' first up, and the skeptic in me reminds me that if something is too good to be true... it usually is. I am also seeing an unknown creature that is not badly decomposed. The swelling at middle of creature is consistent with a dead animals stomach/organs bloating after being dead for some time. 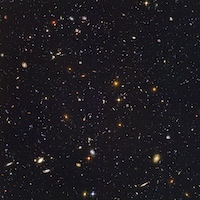 That could literally be a photo of anything, in my opinion. Here is another report on this creature which gives a number of different suggestions as to what it may be/is.